Dr. Rongbin Han received his PhD in political science from University of California, Berkeley. Before studying in the U.S., he received a Master of Social Sciences from National University of Singapore, and BA in International Politics from Peking University, China. His research interests center on the intersections of contentious politics, media, and Chinese politics. 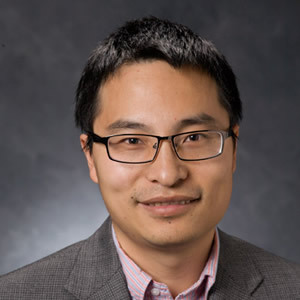 He currently works on several projects that focus on cyber politics in China, particularly Internet’s “technological empowerment” effects and the resilience of the authoritarian regime. His recent publications appear in China Quarterly, Journal of Contemporary China, and Journal of Current Chinese Affairs. His earlier article, “Path to Democracy? Assessing Village Elections in China” (with Kevin J. O’Brien, in Journal of Contemporary China), has been reprinted several times (in Grassroots Elections in China, Routledge and The Politics and Governance of China, Edward Elgar Publishing) and translated into Chinese (in Foreign Theoretical Trends, 国外理论动态).